Your home is a generous 98 m2 Cottage with two bedrooms (sleeps up to. 4 Persons), a cozy living area and a fully equipped kitchenette with refrigerator, stove, microwave, coffee maker, toaster, etc., so you can take care of herself. The living area equipped with satellite TV (including with German channels), CD + DVD, opens onto a terrace. 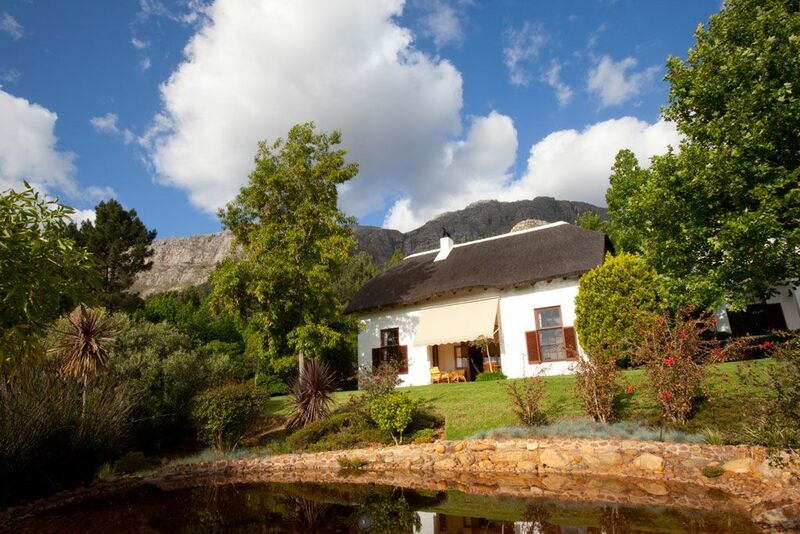 Of all the rooms, the view over koi ponds, the orchard and in the distance Cape Town with the majestic Table Mountain. Resting and enjoying the nature provide the perfect atmosphere and a relaxing and peaceful holiday.